Sumatriptan tablets are indicated for the acute relief of migraine attacks with or without aura. There is no information available on the use of sumatriptan tablets in the treatment of basilar or hemiplegic migraine. 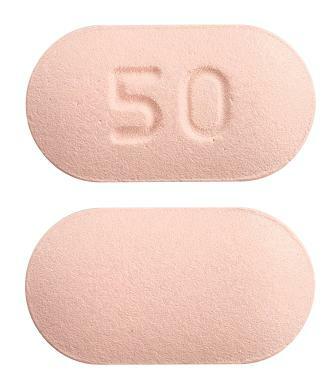 Pink coloured, capsule shaped, biconvex film-coated tablets debossed with"50" one side and plain on the other side which contain Sumatriptan (as succinate) 50 mg.
White coloured, capsule shaped, biconvex film-coated tablets debossed with"100" one side and plain on the other side which contain Sumatriptan (as succinate) 100 mg.